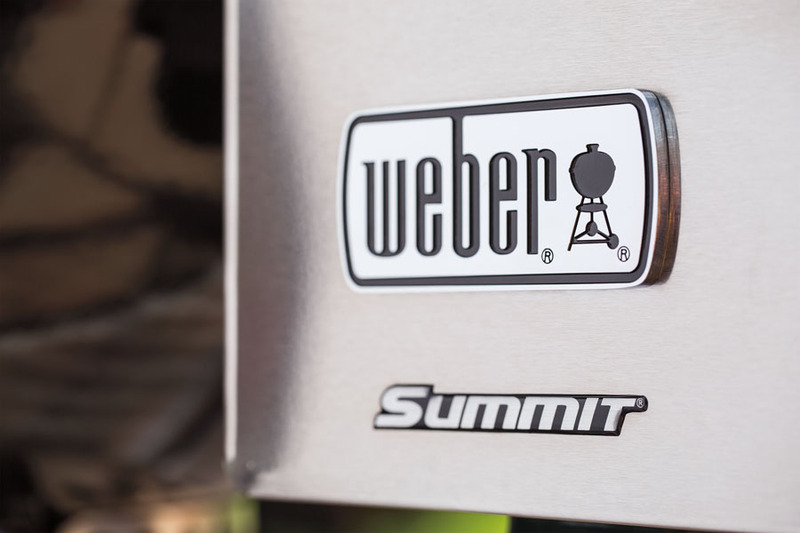 The next evolution in grilling is finally here, the new Weber Summit Charcoal Grill. 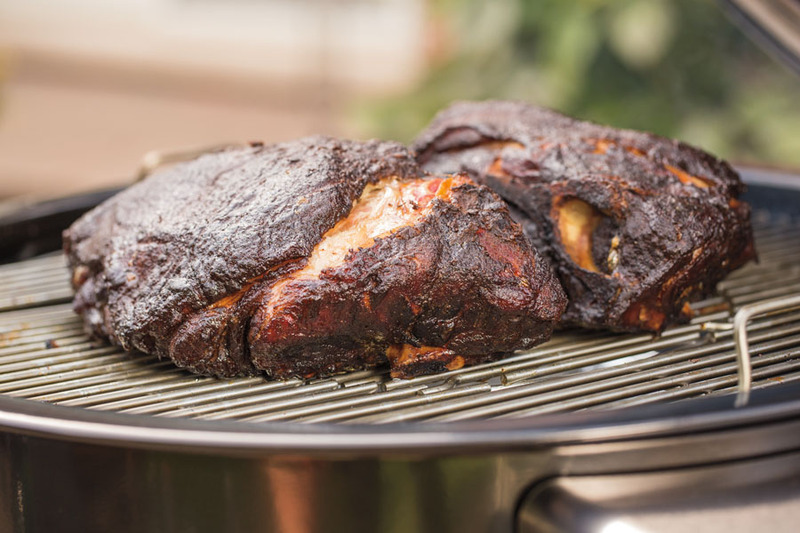 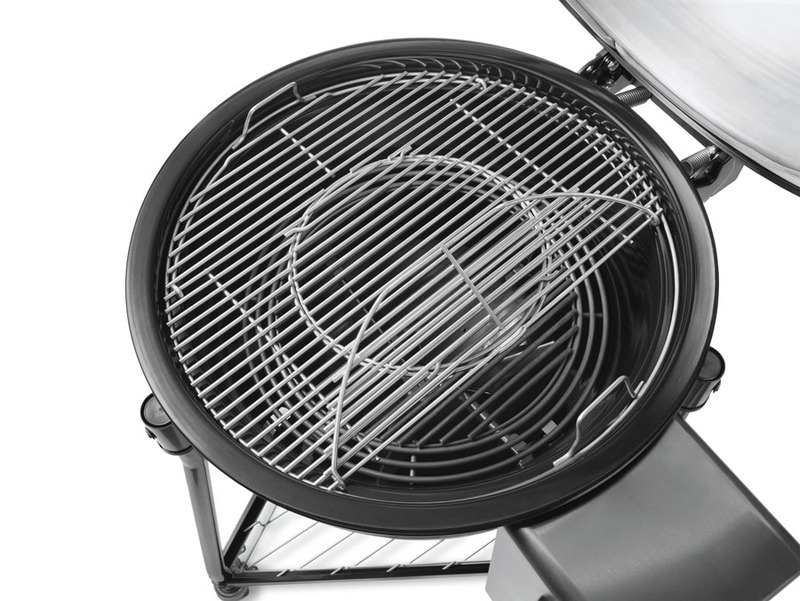 Weber has combined the best elements of three top products; the Original 22" Kettle, the Performer®, and the Smokey Mountain Cooker into one new, revolutionary grill. 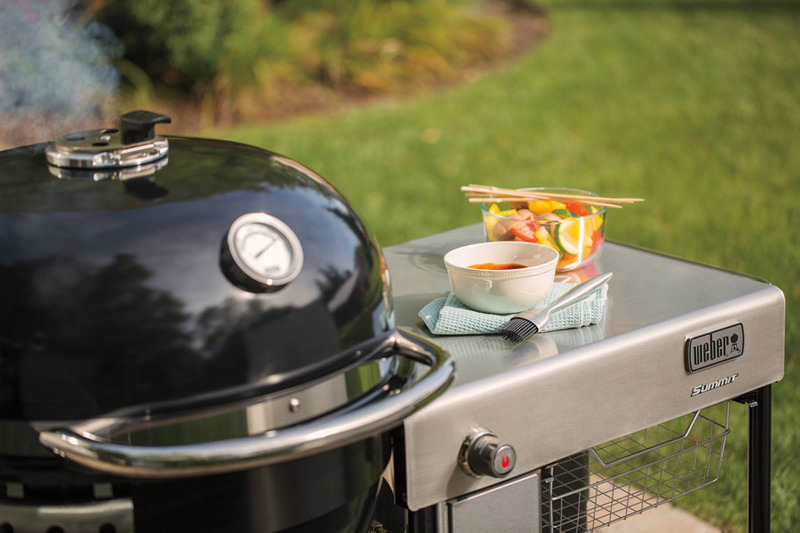 This new grill brings the best design, functionality and performance into your backyard. 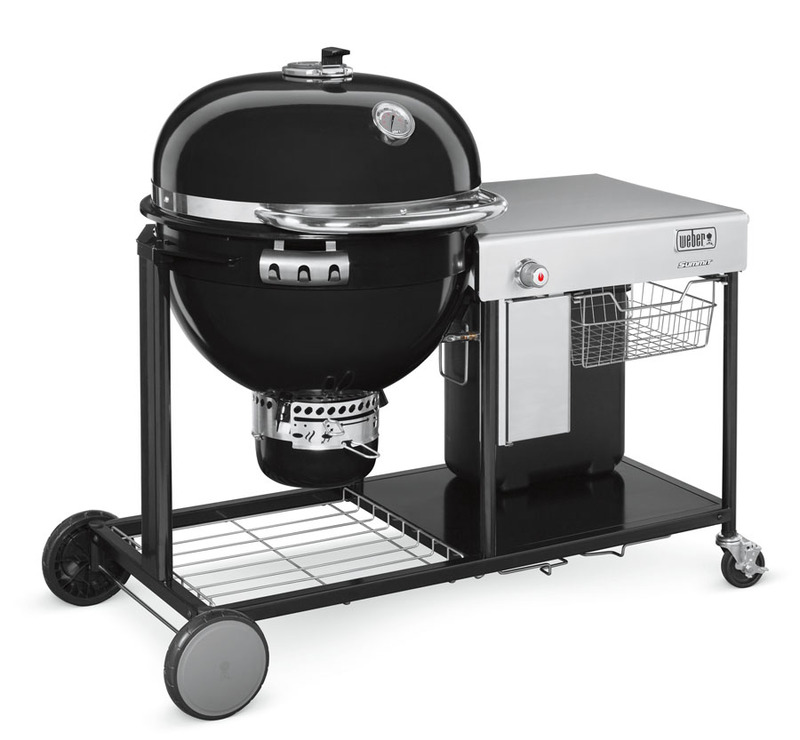 Barbeques Galore is proud to be THE exclusive dealer of the new Summit Charcoal Grill. 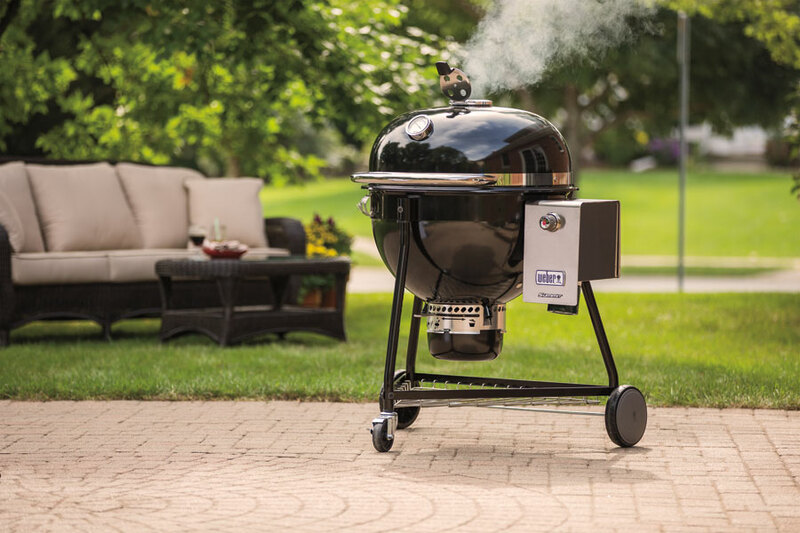 You won't find this baby in any big box store, so come in to your nearest Barbeques Galore location and be the first on your block to own this Grill of a Lifetime! 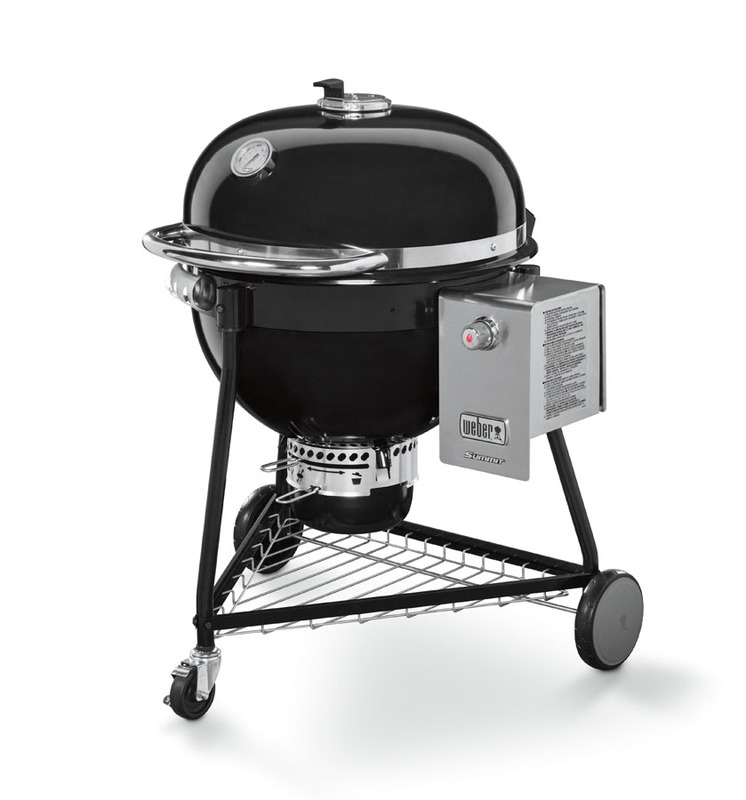 It has some very unique features only found on this product. 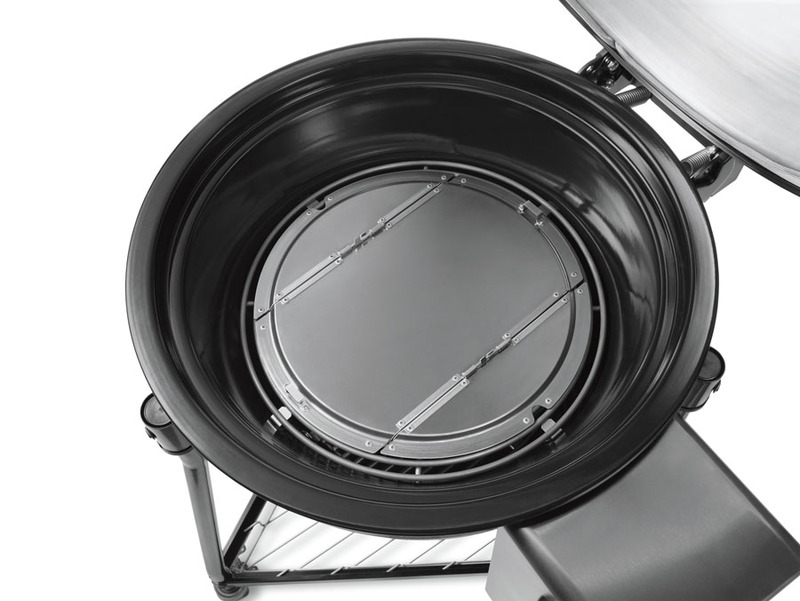 Starting with a double-walled air-insulated porcelain enamel lid and bowl. 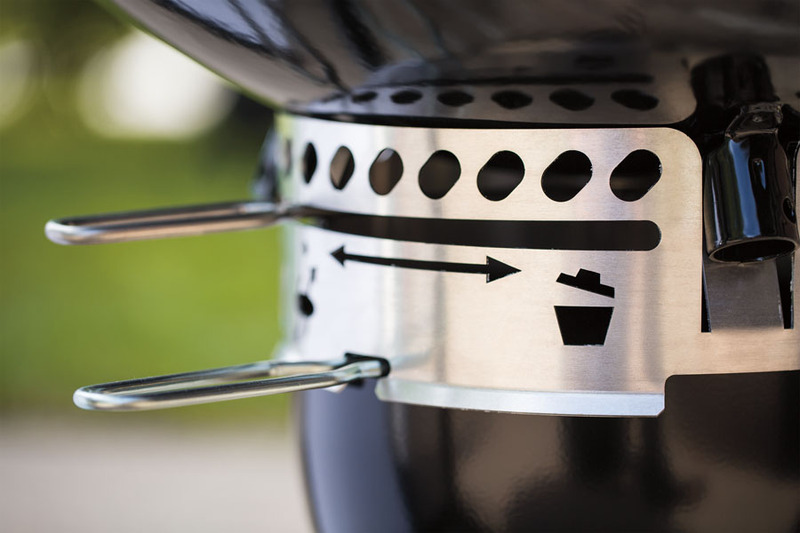 The air acts as an insulator keeping warm air in and cold air out. 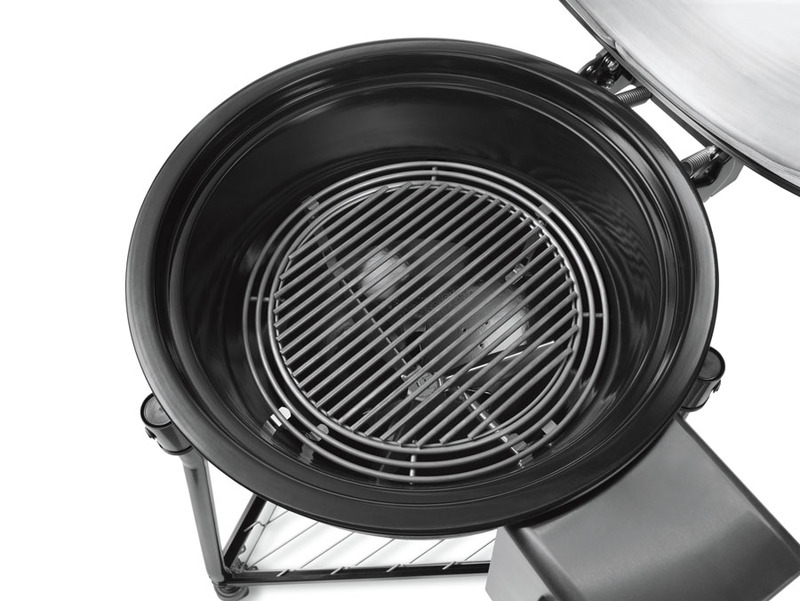 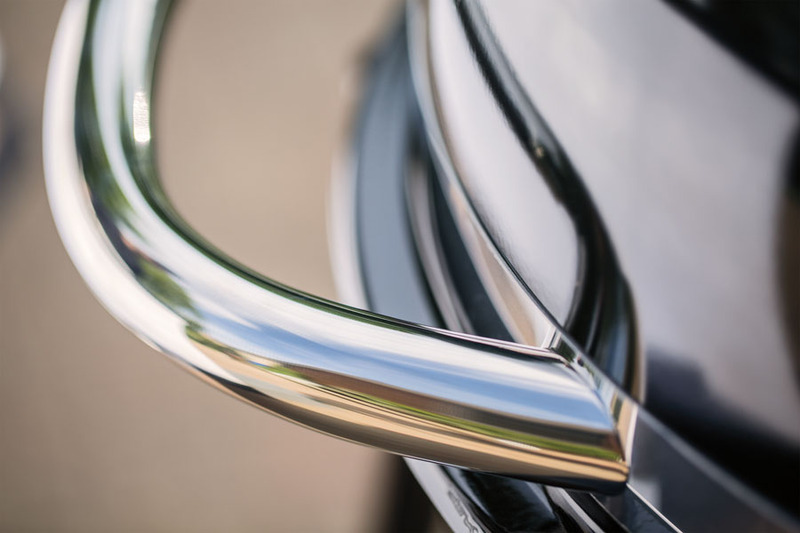 It also comes with a new and innovative lid damper, that acts like all other Weber lid dampers, with the addition of a hinge, allowing it to flip open acting similar to a built in chimney starter. 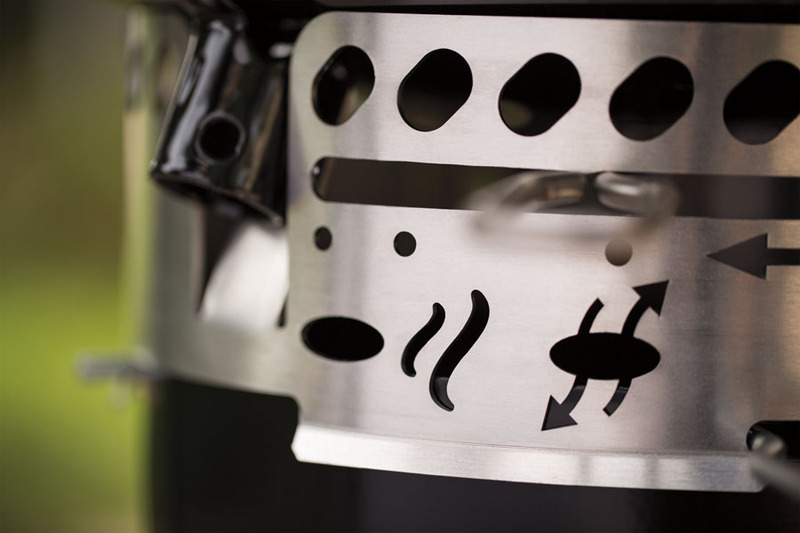 This helps light your fuel quickly and easily. 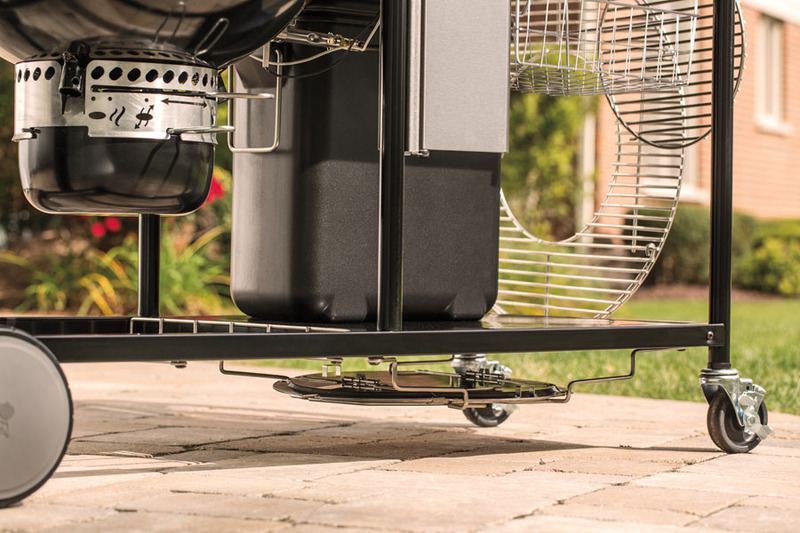 Weber has also launched a number of new charcoal accessories including specific covers for each model, a new charcoal rake, an expansion grilling rack, and a large rib rack. 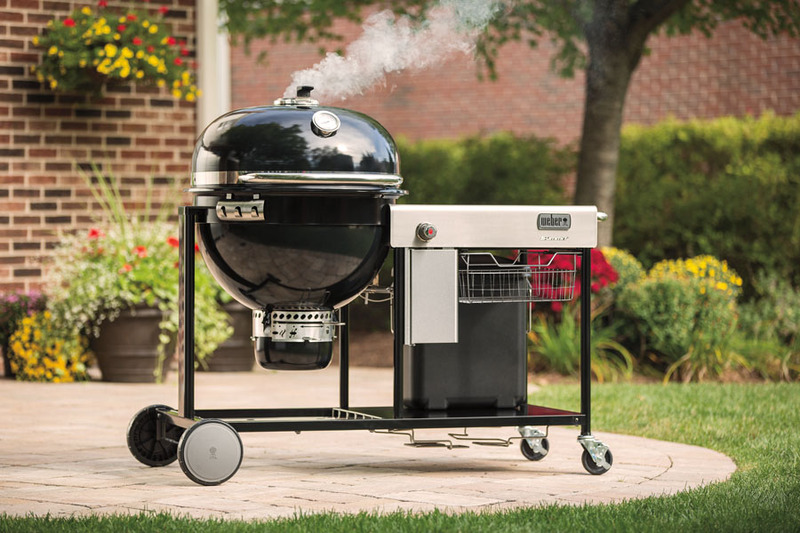 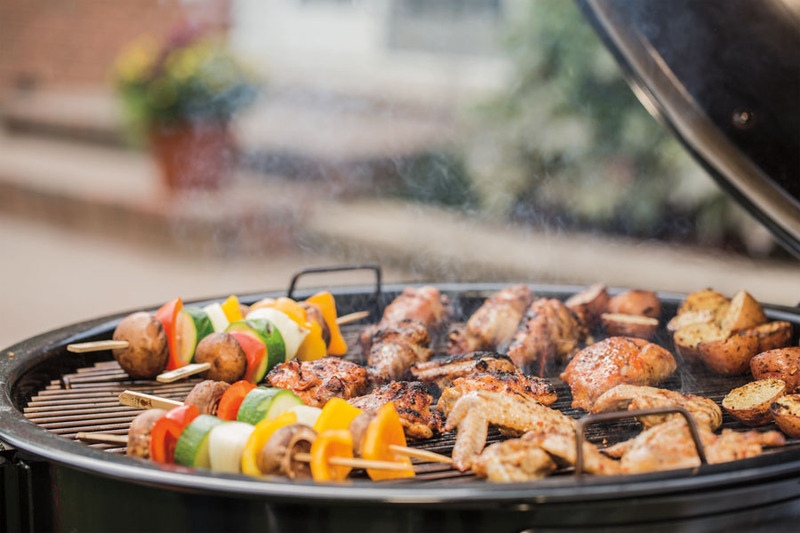 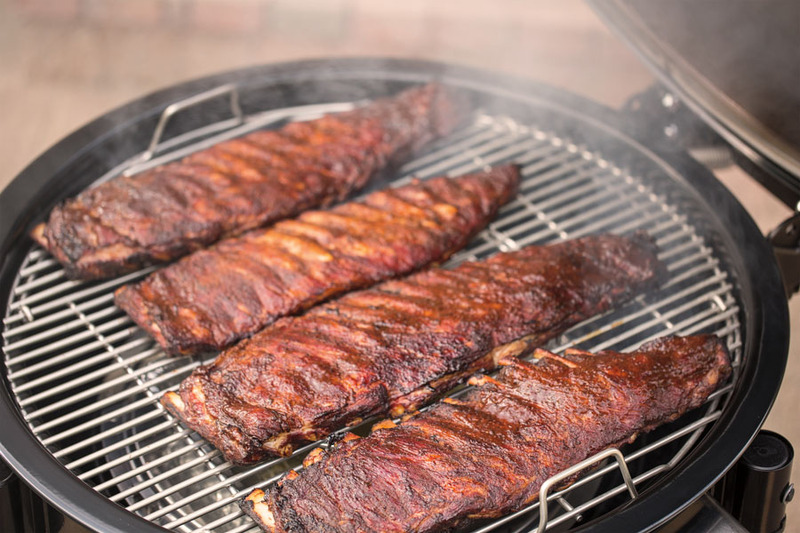 For pricing and more information, contact your nearest Barbeques Galore location today!